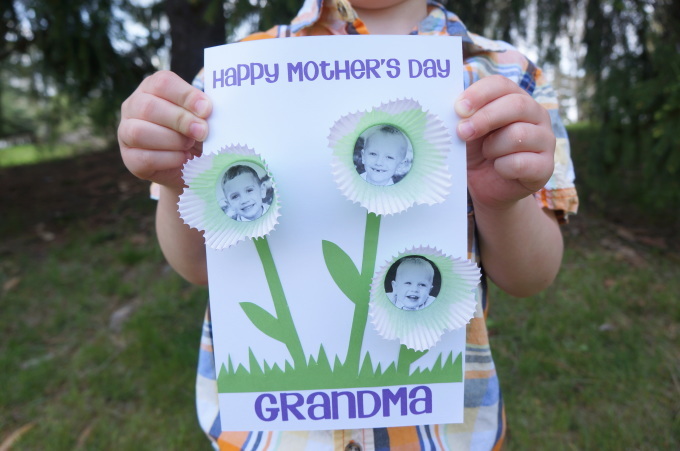 Mother's Day Card For Mom's +Grandma's - So Festive! 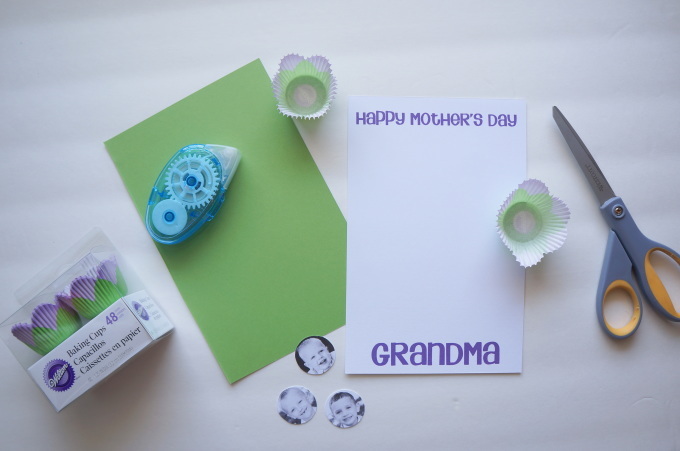 Today I’m here to share a fun and easy Mother’s Day Card idea. My boys helped me put these together last year and they were a hit, so your mom’s and grandma’s are sure to love them too. Free hand some grass and as many flower stems as kids you have. 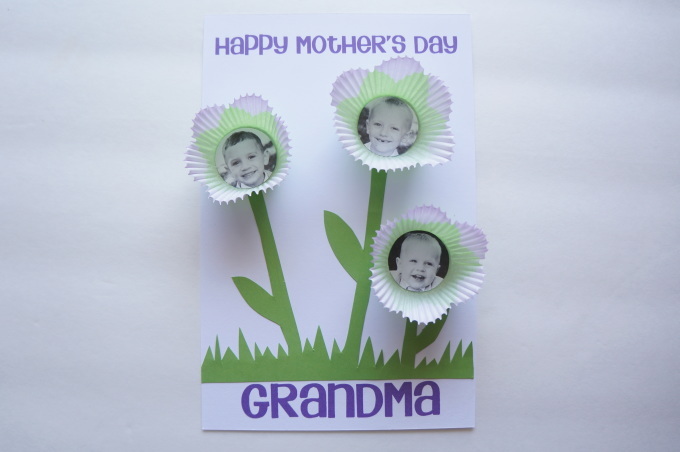 Glue the pictures in the baking cups and the stems to your paper card. 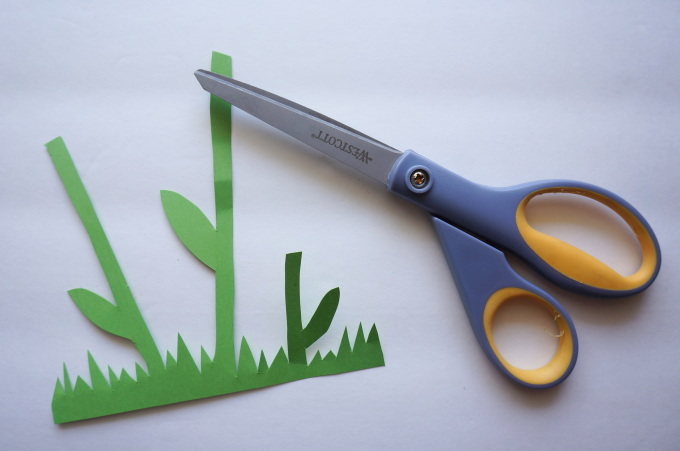 Glue the picture flowers to the tops of each stem and you are done!